Today the church looks as it did in 1867. Two hitching posts and a white picket fence were added early on, but more functional wire fencing eventually took their place. Saint Mary’s now hosts weddings, baptisms and Sunday and Thursday morning mass. 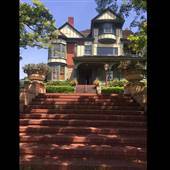 The Falkirk Cultural Center is an 1888 Queen Ann Victorian offering large sun-filled rooms, exquisite coffered ceilings, rich wood paneling, decorative fireplaces, and floor-to-ceiling stained glass windows. The Center is owned and operated by the City of San Rafael and is listed on the National Register of Historical Places. 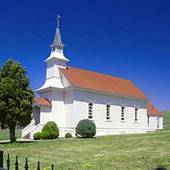 Marshall is an unincorporated community in Marin County, CA, located on the northeast shore of Tomales Bay, 6 miles south of Tomales. It is an area known for harvesting local oysters with quaint outdoor restaurants. The vibe has an "old fishing village" feel, set alongside a rural county coastal road. 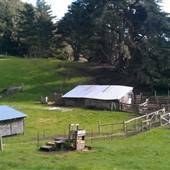 Slide Ranch is a non-profit farm for education that is situated on national park property north of Muir Beach. The grounds are open to the public during daylight hours. 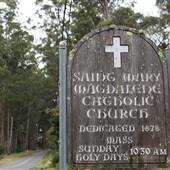 Established in 1853, St. Mary Magdalen is the oldest cemetery in Marin. 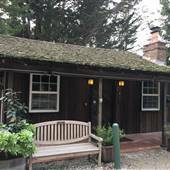 The Briones Graveyard is located on a small plot in a pasture overlooking Bolinas Lagoon.